Everything Just So: Draw with Renaldo Barnette! 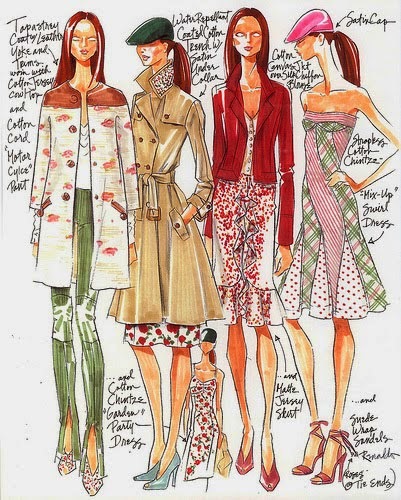 Renaldo Barnette’s gorgeous drawings for Ralph Lauren. I love all these looks! My friend Brandon Graham, founder of Would You Rock This?, a site devoted to promoting the art of fashion illustration, got in touch with me to spread the word that Renaldo Barnette, a fashion illustrator for Ralph Lauren, will be holding the first of three drawing workshops on Saturday, July 19, in Manhattan. See the details below and if you are in the city that weekend or know someone who lives here who would like an opportunity to draw with an incredibly talented pro, let them know about this workshop. It’s a fantastic chance to learn from one of the best! Did you know many of the top fashion designers frequently heralded by the press for their creative genius have little to no drawing skills? Most people assume a designer credited with creating a stunning collection also created beautiful concept sketches. Well… not exactly. 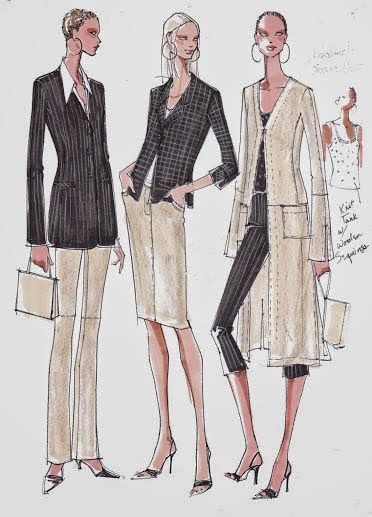 Top designers like Ralph Lauren rely on artists like Renaldo Barnette who specialize in drawing fashion. I love that look with the trench and also the frilly skirt with the little jacket! On Saturday, July 19, 1-4PM, at Ripley-Grier Studios in New York, Ralph Lauren Fashion Illustrator Renaldo Barnette will host the first in a series of workshops demonstrating his illustration techniques and give the public a rare look inside the world of a professional fashion illustrator. Renaldo Barnette is one of the few people who have mastered both disciplines of fashion illustration for editorial purposes and fashion illustration for design purposes. Fashion sketches are some of the most valuable assets to multi-million dollar fashion brands because that’s where everything stems from. It’s not surprising then, that the fashion industry has quietly attracted some of America’s most talented illustrators at rates of up to $3000 per week because of their high level drawing ability and tremendous output within limited time frames. 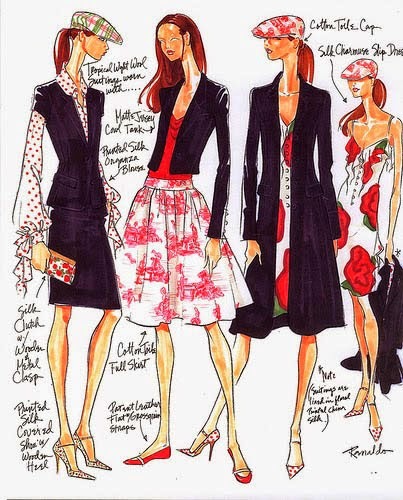 Barnette has condensed years of experience designing and illustrating for Ralph Lauren, Tommy Hilfiger, Anne Klein, and Nicole Miller to teach a variety of approaches to drawing fashionable imagery in this 3-Part Workshop Series. Attendees will be drawing a live model styled in designer outfits under the direction of Barnette. Just love the sketches. I can't draw myself but collect fashion drawings. I've always loved fashion illustration. It sparks my style imagination even more sometimes than photos. Those are superb drawings. I wonder if he catches any heat for drawing only women that look size 2 or less? Hi GSL, touche! They ARE really thin, aren't they? He is probably contractually obligated to draw them that way! The thin mannequins seem like part of the fantasy of fashion illustration so I don't mind it so much. Oh there was no touche' intended but it just seems that anything involving just skinny women faces a fierce backlash in these days of hypersensitivity. I think his drawings are perfect just the way they are.